This airport expansion, which has thus far been the fastest infrastructure project implemented by the Duterte administration, sets the template for all other ventures under the “Build, Build, Build” program, Dominguez said. “This is not only a model for the rapid implementation of projects. It is also a model for effective governance in the modern age,” Dominguez said here before the start of an inspection tour to check the progress of the work on the Clark airport expansion project. The Clark International Airport is envisioned by the government as the country’s next premier gateway that will help clear the congestion at the Ninoy Aquino International Airport (NAIA) and anchor the rapid development of New Clark City in Central Luzon. In June 2017, the board of the National Economic and Development Authority (NEDA) chaired by President Duterte approved the Clark airport expansion project after which it broke ground following a short period of six months. 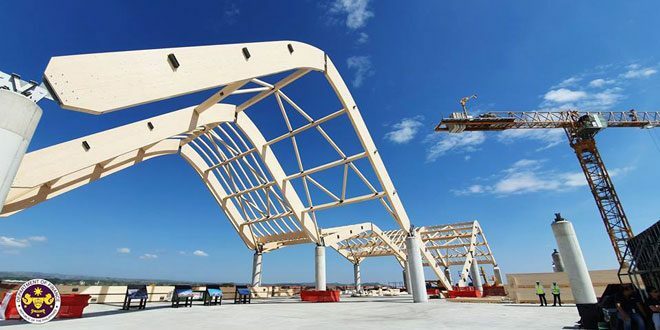 Today, Dominguez said the passenger terminal is 56 percent complete and is expected to be done ahead of schedule by the middle of next year. In contrast, NAIA’s rehabilitation, of which the original proponent status was granted to the NAIA Consortium in September last year, has not yet started, he said. “People have to remember that when projects are delayed, the ones who suffer are the people. So it is not PPP, it should be PPPP–Public-Private Partnership for the People. And I think many people forget that the beneficiaries are really the public,” Dominguez said.